UH Mānoa’s Parking Regulations are in place to ensure the safety and convenience of our campus community. All individuals who drive and/or park on campus must observe these rules at all times. Vehicles in violation will be subject to citation and fines or immobilization or towing. UHM Parking Regulations are in effect 24 hours daily throughout the year. Observe all officially posted signs regarding traffic and parking control. All motor vehicles parking on University property must have either a valid UHM parking permit/pass or a cash-entry-fee ticket receipt. Proper permits/passes must be displayed at all times in plain view: in cars and trucks, on the dashboard or rear-view mirror; on motorcycles or mopeds, affixed on the left handlebar. The use or possession of a(n) invalid, expired, counterfeit, altered, defaced, illegally transferred, or stolen permit/pass is prohibited and will result in a citation. Parking is permitted only in areas clearly marked and specified by Parking Services. Parking is prohibited in areas including, but not limited to, lawns, planted areas, grounds under repair, median strips, sidewalks, driveways, crosswalks, red curbs, and “No Parking” areas. Obstructing a fire hydrant, fire lanes, vehicular and pedestrian traffic, and official bus stops will also result in citation and is subject to tow. Violators of the UHM Parking Regulations are subject to a fine, removal, or immobilization of their motor vehicle at the owner's expense. Delinquent or repeat offenses may warrant further disciplinary action. 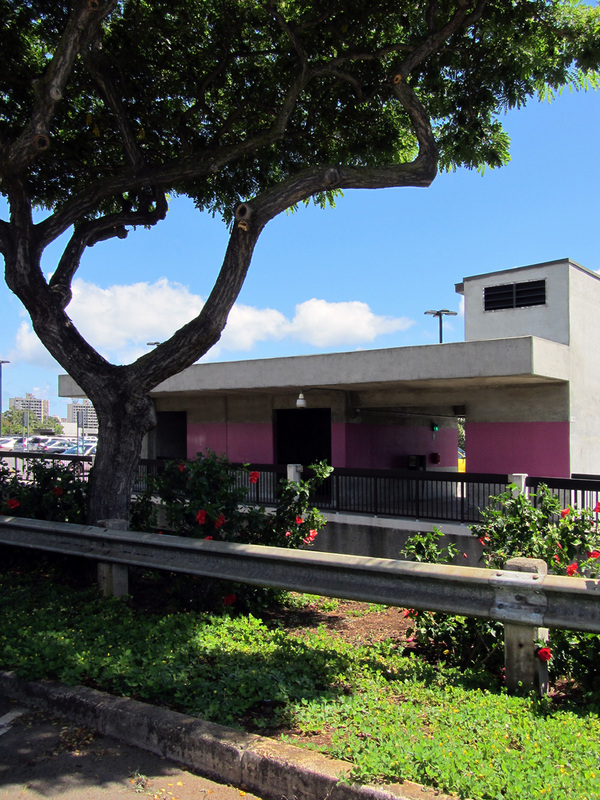 All persons operating a motor vehicle on UHM property are required to comply with the City & County of Honolulu Traffic Code and all UHM Parking Regulations. The University is not responsible or liable for fire, theft, damages to motor vehicles or any contents therein when parked or operated on campus. Giving false information and/or falsifying supporting documents when applying for a parking permit constitutes a violation of these regulations and shall invalidate the issuance of the permit. * Regulations listed here are excerpts from the official UHM Regulations which are available at the Parking and Transportation Services offices.